The US officials point at Russia while the Pentagon has been violating the Intermediate-Range Nuclear Forces Treaty since the early 2000s. 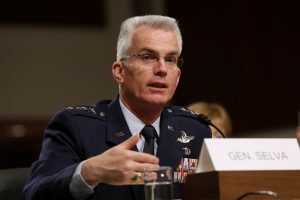 General Paul Selva, the vice-chairman of the US Joint Chiefs of Staff, accused Russia of deploying a land-based cruise missile that violated the “spirit and intent” of the Intermediate-Range Nuclear Forces Treaty (INF Treaty) and posed a threat to the US European allies. “The system itself presents a risk to most of our facilities in Europe and we believe that the Russians have deliberately deployed it in order to pose a threat to NATO and to facilities within the NATO area of responsibility,” he said during a House armed services committee hearing March 8, 2017. Gen. Selva did not say if the missile carried a nuclear weapon. 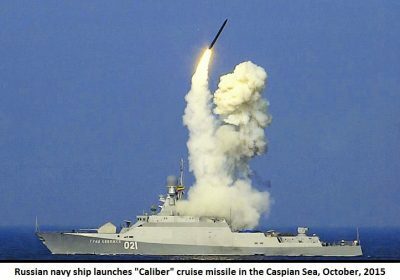 It was the first public accusation of the prohibited weapons deployment after The New York Times said earlier this year that Russia had secretly deployed the ground-launched SSC-8 cruise missile. SSC-8 is believed to be a land version of the SS-N-30 3M14 missile complex “Caliber-NK” for the first time used by Russian navy against targets in Syria in 2015. In 2014, the United States made a similar accusation. The State Department concluded in the control report that Russia was in violation of its obligations under the INF Treaty. Russia accused Washington of conducting “megaphone diplomacy” after the accusation was repeated by the State Department in 2015. That time Moscow denied it had violated the treaty, which helped end the Cold War. So the Russians did this time. Russia is committed to its obligations under the Intermediate-Range Nuclear Forces Treaty, the Kremlin spokesman Dmitry Peskov said March 9, 2017. 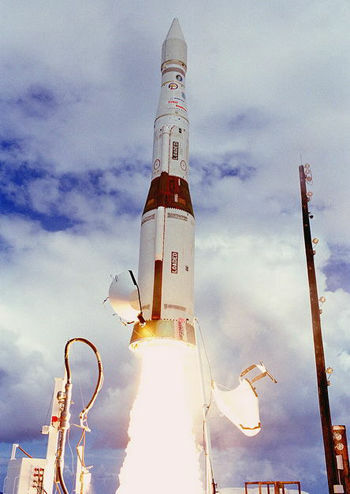 The accusations from Washington high-ranking officials take place while the Pentagon used Hera missiles with operational range of 684 miles (1,100 kilometers) as targets during missile defense tests since 2002. This fact constitutes blatant violation of the INF Treaty because all these vehicles were to be destructed by 1991 and manufacturing of new ones was prohibited under the terms of the Treaty. War hawks add fuel to the fire. The Congress is moving to make the Pentagon begin developing medium-range missiles banned by the 1987 nuclear arms agreement, Politico.com announces August 2. These steps of American legislators along with ongoing North Korean nuclear standoff do not make the world safer. Confrontation between nuclear powers which the INF Treaty abolition will potentially lead to is even the worst scenario.